A 30-minute car ride from the urban sprawl of Johannesburg to the suburbs of Soweto makes you feel as if you have traveled to another country. 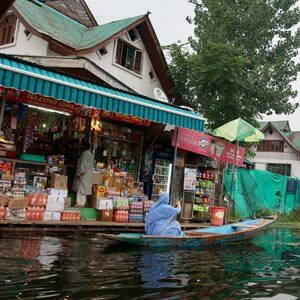 The scenery changes from glass skyscrapers, planned roads, upscale boutiques and acclaimed restaurants to rows of colorful houses, children dancing behind fenced yards and piles of accumulated garbage. 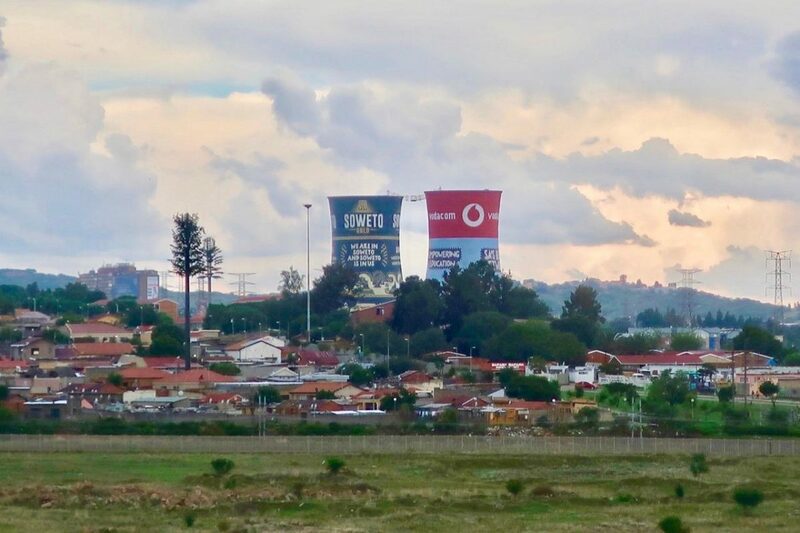 If you have heard of world leaders Nelson Mandela and Desmond Tutu, you may already know that they both lived in Soweto, practically across the street from each other. Soweto, or the South Western Township, was created in the 1930s when Black Africans were forced away from the city to separate dwelling areas under the infamous “Urban Areas Act,” making Soweto the largest Black city in South Africa. Today, it is still the largest township located on the outskirts of Johannesburg, with a population of 1.5 million. My Uber driver is a Black African by the name of Doctor Siphamandla, who is in his mid-20s. He’s not a doctor as one may suspect. “My grandfather named me Doctor, perhaps because he had a bigger vision for me,” Siphamandla clarifies. He tells me that he was born and brought up in Soweto and loves everything about the place. “The people, the food, the nightlife—it’s a vibrant place!” I’m curious about the visit. Born after 1994, Siphamandla falls under the category of “Free Born,” meaning those born in free South Africa. Once we arrive at our destination, I see how Soweto is moving on. There are international travelers —Whites, Blacks, Asians, Hispanics —all lined up to go inside the former home of Nelson Mandela, now a museum. It is a small one-story brick building with only two rooms, filled with original pieces of furniture, certificates and pictures. Everyone wants to take a photo in front of the house, raising their fists as Mandela did, to show their support towards his cause. Across the street, restaurants and bars are serving Soweto beer and traditional braai. Souvenir shops on Vilakazi Street sell African crafts, colorful gowns, and bags with Mandela’s face on them. Many bankers, chefs and entrepreneurs have returned to Soweto to open modern cafes, jazz clubs and breweries. 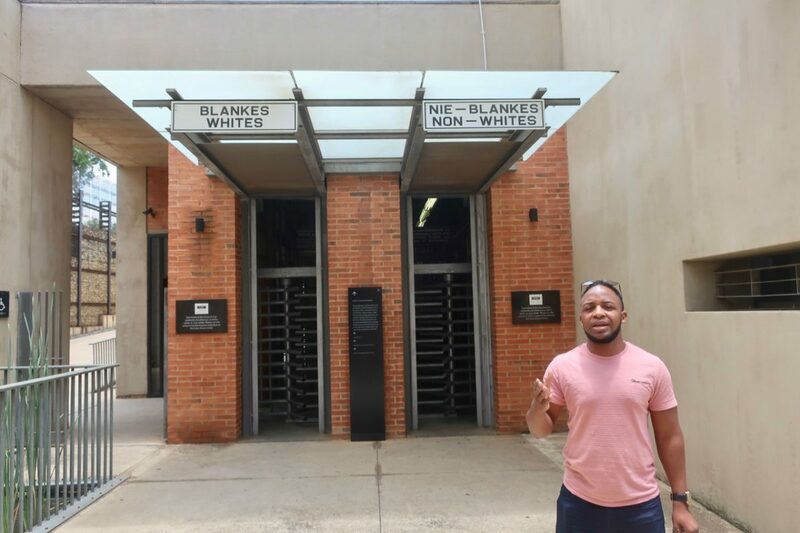 Nearby, Morara Wine and Spirits Emporium, Soweto’s first boutique wine and spirits shop, hosts book clubs and poetry gigs with more than100 South African wine labels. The Orlando Stadium is home to the Orlando Pirates FC of the Premier Soccer League, one of the best teams in the country. In 2010, Soweto hosted the FIFA Soccer World Cup drawing the attention of more than a billion soccer spectators from all over the world. The Hector Pieterson Memorial and Museum gives a stark perspective into Soweto’s recent past. During the Soweto Uprising of 1976, police opened fire on 10,000 students marching against the government’s policy to enforce education in Afrikaans rather than their native languages. Disease, hunger, civil unrest, and violent riots were a part of everyday life in Soweto until the country abolished apartheid had its first multiracial elections in 1994. The next morning, I meet with Charles Ncube, my guide from Kgokare Tours, an all-Black-owned tour company. Ncube is one of the 12 tour guides featured in South African Tourism’s new ‘Meet Your South Africa’ campaign where locals show insights into their communities. He is in his 30s and speaks 11 languages. 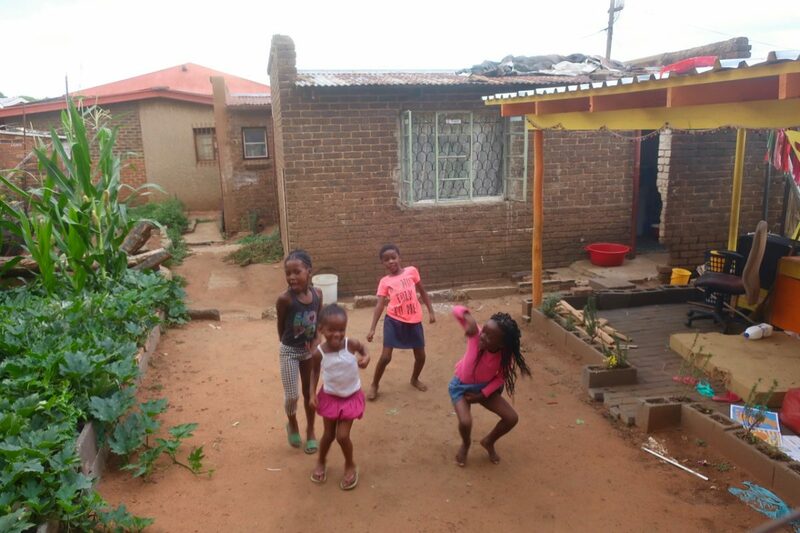 “When you live in Soweto, you have to speak to everybody in their own language,” he tells me, referring to how the shanty town was initially divided by different language groups, including, Sotho, Tswana, Tsonga, Venda, Zulu and Xhosa. Typically, when you go to museums, you expect to see things that happened to generations before us. At the Apartheid Museum in Johannesburg, I realize how recent the history of South Africa is. “I remember having to walk through Black-Only marked staircases and going to Black-Only restrooms at the airport when I was a teenager,” Ncube, who is almost my age, tells me. One of the exhibits at the museum is about the Truth and Reconciliation Commission (TRC), where witnesses of gross human rights violations during apartheid were invited to give statements about their experiences and face their persecutors. “It was in the middle of the night when some White men came to our house and took my mother. We never saw her again,” Ncube explains in one of the documentaries. This year as South Africa celebrates 25 years of democracy, people like Ncube and Siphamandla have different experiences from the past, but the same hopes for the future. 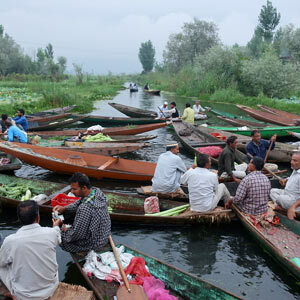 They both see tourism as a way to enhance their economic situation. They want to see more Black African entrepreneurs and transforming neighborhoods like Soweto. 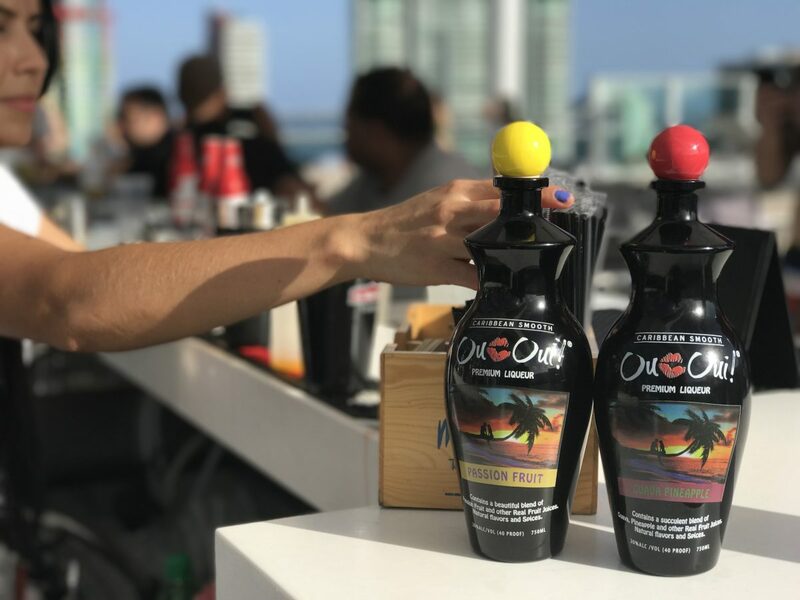 Located 45 miles northwest of Guadalajara, in the Mexican state of Jalisco, the town of Tequila is known as the birthplace of the drink that bears its name. The picturesque township, with its colorful buildings and cobblestone streets, is a UNESCO World Heritage Site. The federal government of Mexico calls it Pueblo Magico or Magical Town. For Cuisine Noir. January 2019. 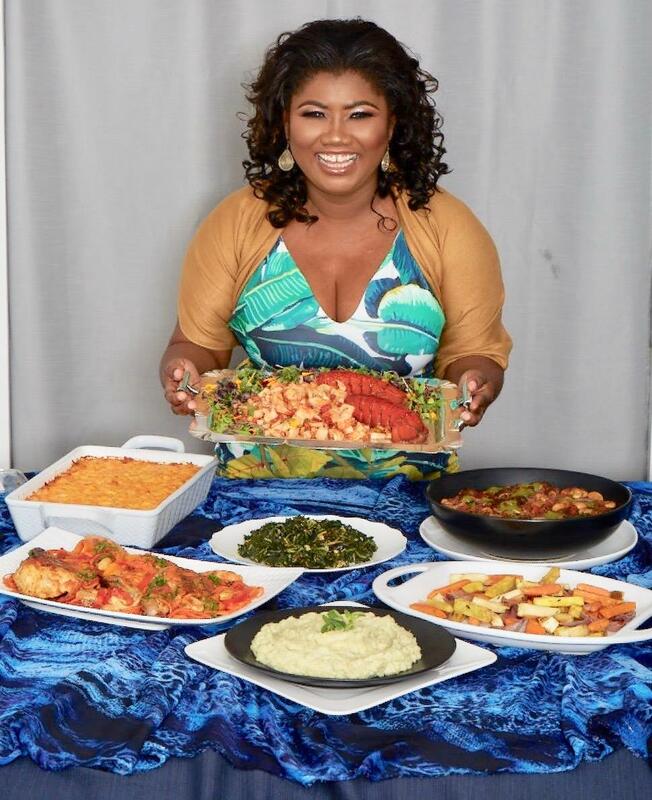 Bahamian celebrity chef, restaurateur, caterer, and teacher Raquel Fox just added author to her list of accomplishments with the completion of her first cookbook, “Dining in Paradise. ” The collection of over 150 authentic island recipes is due out this March. Fox’s earliest memory of being in the kitchen is when she was a 6-year-old sous chef to her grandmother, peeling root vegetables and husking corn. “Watching my grandmother’s love for food, bringing people together over celebratory meals and making them happy was magical for me to watch,” she says. As a child, she would witness fishmongers bring fresh seafood to her house on bicycles and her grandfather, a farmer, start with a seed to bring ingredients to her grandmother in the kitchen and then to her dining table. She realized the power of cooking early on and knew that’s what she wanted to incorporate in her life. In the Bahamas, Fox attended an international school which exposed her to different cuisines. She had friends from all over the world whom she visited between high school and college. During these travels, she discovered the similarities between different cultures and started looking at her island closely. With Africa, Latin America, France, Spain, the Caribbean and England influencing The Bahamas diverse history, you’ll can find seafood conch salad with a lot of chili and lime, Johnnycake or Bahamian cornbread, fried whole fish and chicken, as well as a British style steamed puddings called guava duff (the national dish) on the same table. Seafood is a staple and Bahamian cooking incorporates lots of spices, rum and tropical fruits. Fox and her husband opened a wine lounge in the Bahamas in 2009, which they eventually closed to move their family to Toronto, Canada, where they currently reside. She also hosted her own television show, “Island Hopping,” to educate people about Bahamian food. After being in the culinary industry for 14 years, Fox went back to school to get a culinary degree from George Brown College in Toronto. “I tried to be modest at the time, but I wasn’t a beginner to cooking. Still, I learned a lot of techniques, culinary terms used at work, and even the proper way to hold a knife,” she adds. After graduation, Fox opened a catering business and started teaching at George Brown and various cooking schools. 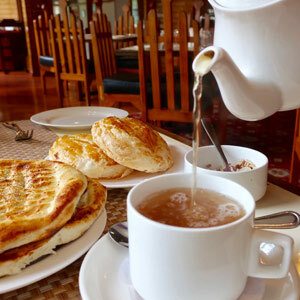 “What I enjoy most being a culinary instructor is that you meet wonderful people who are enthusiastic about learning and passionate about food. I tell stories of my childhood as I teach them how to cook, which is very entertaining,” Fox says about her favorite job thus far. Juggling so many hats can be challenging, but Fox’s passion for food and constant need to innovate energizes her. She advises doing something that brings you closer to your goal every day, even if it is a small step in the direction. “Get rid of the resolutions, be realistic and continue to grow in knowledge,” she suggests for the new year. As for Fox, she hopes to spend more quality time with family, land a new television show, and make “Dining in Paradise” a bestseller in 2019. “Dining in Paradise is available at independent bookstores in the U.S. and at Indigo bookstores across Canada, as well as available for pre-order on Amazon. You can also visit her website at www.racquelscookbook.comand connect with her on Facebook. ~ Written for For Cuisine Noir in January 2019. For Khabar Magazine. November 2018 print issue. The early morning floating market, a place where local villagers gather at the lake to sell their produce, and wholesalers from land come to shop. 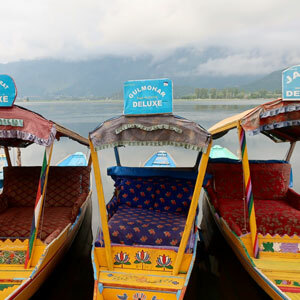 A woman rows to a grocery store in Dal Lake. 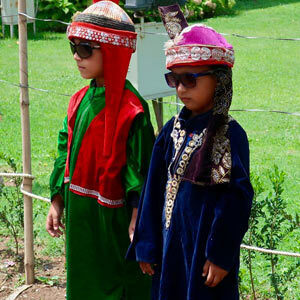 Kids sporting local attire at Pari Mahal Gardens. 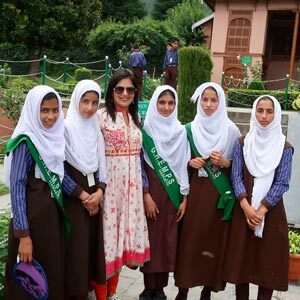 The author with local students at the Chashme Shahi Gardens. Are you curious about traveling to countries that are particularly known for their UNESCO designated sites? Lazare Eloundou Assomo, deputy director of the World Heritage Centre, provides some insight into how the United Nations Educational, Scientific and Cultural Organization (UNESCO) works. UNESCO seeks to encourage the identification, protection and preservation of cultural and natural heritage around the world that is considered to be of outstanding value to humanity. These include monuments, habitats and natural formations that have aesthetic, archeological, scientific or anthropological value. All countries have sites of local or national interest, but sites selected for World Heritage listing are inscribed based on their merits as the best possible examples of cultural and natural heritage. How did the UNESCO World Heritage list start? The idea of creating an international movement for protecting heritage emerged after World War I. The 1972 Convention concerning the Protection of the World Cultural and Natural Heritage developed from the merging of two separate movements – the first focusing on the preservation of cultural sites and the other dealing with the conservation of nature. 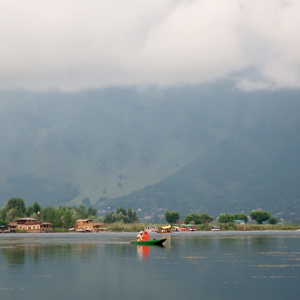 How is a UNESCO site selected? First, a country must pledge to protect its natural and cultural heritage by signing the World Heritage Convention and submitting a nomination for a site on its territory to be included in UNESCO’s World Heritage List. A nominated property is independently evaluated by two advisory bodies mandated by the World Heritage Convention, the International Council on Monuments and Sites (ICOMOS) and the International Union for Conservation of Nature (IUCN). The committee of 21 representatives meets once a year to decide which sites will be inscribed on the World Heritage List. Some of the newest inscribed properties include the ancient city of Qalhat in Oman, Thimlick Ohinga settlement in Kenya and the Barberton Makhonjwa Mountains in South Africa. As history and culture play an important role in why people travel, here are 10 UNESCO Sites that every black person should visit at least once in their lifetime. Used as a prison and hospital for socially unacceptable groups and later as a military base, this maximum-security prison located on an island near Cape Town imprisoned Nobel Laureate and former President of South Africa Nelson Mandel for 18 years. Famous for its rock-cut monolithic churches, the town of Lalibela is one of Ethiopia’s holiest cities with11 churches built in the 12th and 13th centuries, a monastery and vernacular houses. Located just off the coast of Dakar, close to Africa’s westernmost point, this island played an important role in slave trade in the Middle Ages. The Medina is not only a visually stimulating cultural and spiritual center, it is also home to the oldest university in the world. The city was the original colonial capital and the first slave market in South America. It maintains many Afro-Brazilian traditions, religious rites, martial arts, food and dances. The fortified characteristically Spanish town retains a mix of Baroque and Neoclassical monuments, private houses with wrought-iron gates and balconies. With two volcanic spires, hot springs, a coral reef and wet forests, Gros Piton and Petit Piton make a spectacular backdrop to the western part of the island of St Lucia in the Caribbean. This wildlife park stretching over 50,000 square kilometers is home to elephants, black rhinos, cheetahs, giraffes, hippos and crocodiles. Sprays from the largest waterfall in the world formed by the Zambezi River can be seen from Zambia and Zimbabwe. The oldest and best-preserved Swahili settlement in East Africa features narrow streets with elaborately carved wooden doors, stone buildings, dhow boats and an annual Mualidi festival. For more additional exploration of history, Moukala also recommends checking out some of the sites related to slavery to further understand the social and human impact around the world.